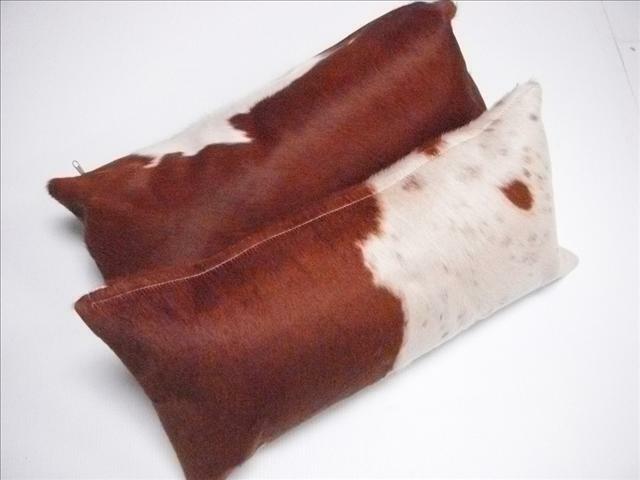 Dual Color Cowhide Decorative Pillow - Swatches may be available. 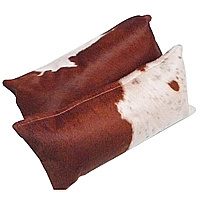 The cowhides used in these pillow are chosen from hides that allow the facing side of the pillow to keep it's unbroken natural pattern. The opposite side of the pillow is a plain leather covering. Please note that with any natural product, colors and fur appearance or appearance may vary from the image shown or from pillow to pillow. We are unable to supply the same pattern or exact color on multiple pillow orders because nature makes each hide unique and different.